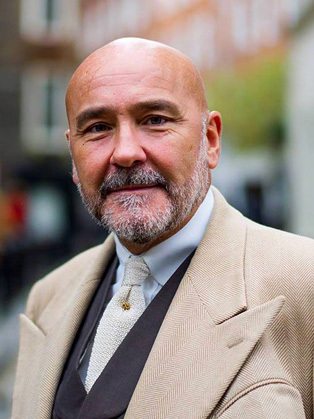 Mark Powell is one of the most renowned, respected and revered bespoke tailors in the heart of London. Carnaby Street and fashion have always gone hand in hand. Fashion and Mark Powell are no different. Mark's attention to detail is second to none. His clients range from high end corporate professionals to Hollywood superstars. Mark has been inspiring audiences through his speaking engagements for many years. Detailing his approach to the customers who walk into his shop, to how he makes people feel when they wear his designs and every process in between. The tailoring, the cloth, the style but always the customer. Professionalism and talent are only a portion of what's required to get ahead in the fashion world. Personality is everything else. Mark has every aspect mentioned, in abundance. Mark takes you into his world. The world of the highest standard, bespoke tailor. His clientele, his experiences, his incredible personality and his charm add up to an inspirational and fully entertaining experience.